SEATTLE, April 2012 /PRNewswire/ -- The Boeing Company (NYSE: BA) on March 16th announced that Norwegian Air Shuttle, the third largest low-cost airline in Europe, is the newest GoldCare customer, with a 12-year agreement that covers the airline's future 787 Dreamliner fleet. Norwegian has three 787-8s on firm order, with commitments to lease three additional 787s. Norwegian has selected GoldCare Enterprise, which encompasses the complete parts, engineering, and maintenance solution. Norwegian also is the first customer to select the line maintenance option through the GoldCare MRO network, in which Boeing manages scheduled and minor maintenance that is conducted between flights and overnight. Norwegian will maintain active control responsibility over all engineering and maintenance activities. "GoldCare builds on our long relationship with this important customer – Norwegian already operates our Maintenance Performance Toolbox and is our largest customer for both our 737 Component Services and Landing Gear Exchange Programs," said Lou Mancini, senior vice president, Commercial Aviation Services. "We look forward to further proving the advantages and value that our Boeing Edge services portfolio bring to their operation." 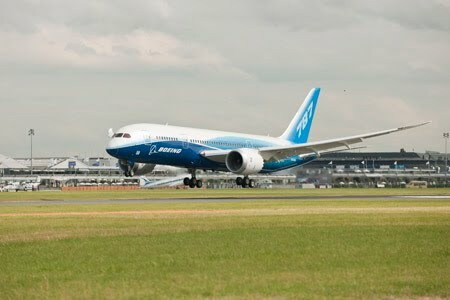 "Having worked with Boeing since we began operations nearly 10 years ago, we have great expectations and confidence as we prepare for our 787 Dreamliners and the implementation of GoldCare," said Asgeir Nyseth, chief operating officer, Norwegian Air Shuttle. "We look forward to leveraging the GoldCare service which will allow us to focus on providing outstanding service for our customers." GoldCare is Boeing's flexible lifecycle solution that provides maintenance, engineering and material management as a multi-year service managed by Boeing. GoldCare utilizes Boeing's advanced global e-enabling technologies. Support using GoldCare Enterprise will allow Norwegian to operate its new long haul service efficiently, knowing that its airplane assets achieve maximum utilization and are maintained to all regulatory requirements and industry standards. Within GoldCare, Boeing leads a global team of suppliers and maintenance, repair and overhaul (MRO) providers to deliver airplane support at a predictable cost based on flight hours. GoldCare provides airlines with 24/7 operations center support using the latest technology to turn airplane operating data into diagnostic information that enhances efficiency and maximizes airplane availability. 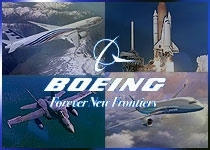 The Boeing Edge offers the industry's broadest range of aviation services and support. Boeing Commercial Aviation Services (CAS) helps customers maximize the lifetime value of their fleets and operations, providing customers a competitive advantage in the marketplace. CAS offers comprehensive global support, e-enabled systems and consulting for greater maintenance and operational efficiency, freighter conversions, parts and inventory management, airplane modification, pilot, crew and maintenance training, navigation products and services, and air traffic management solutions. The real power of the Boeing Edge comes from combining services to create powerful solutions.